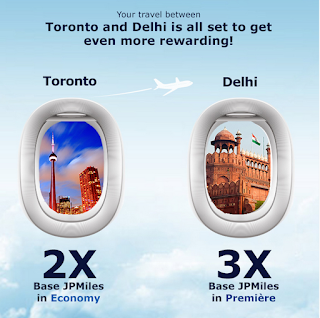 Looks like Jet Airways is tackling the direct competition from Air Canada by offering up to Triple Jet Privilege Miles between Toronto and Delhi. This is an expected reaction since Air Canada is offering up to 10,000 bonus Aeroplan miles on the same route that they are launching on November 1st. Whichever airline you choose, this is a case where the consumer wins out from the competition as you can boost you Aeroplan or JetPrivilege balances if your flying this route! 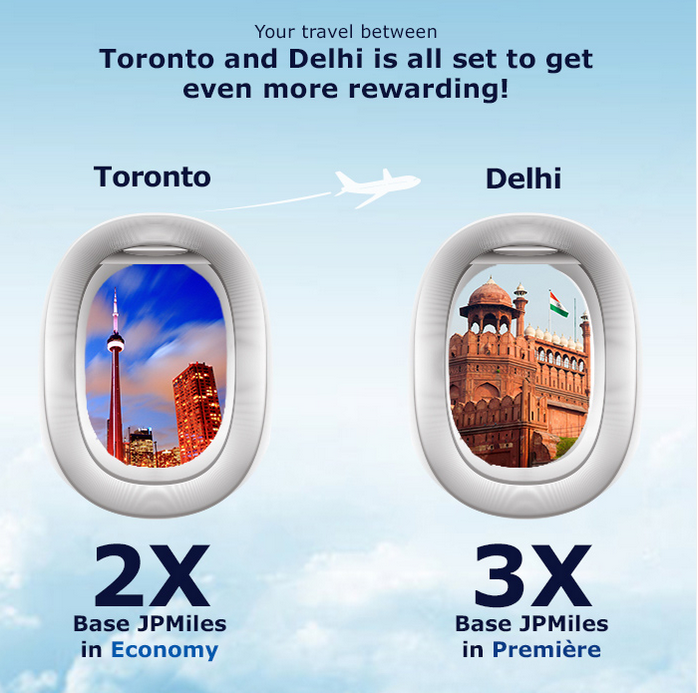 The Jet Airways offer is less restrictive and also runs longer so if you have multiple flights planned between YYZ and DEL you may want to investigate further to see which offer makes more sense for you.